Working with this charity was immensely satisfying as they perform such valuable work which touches so many people. 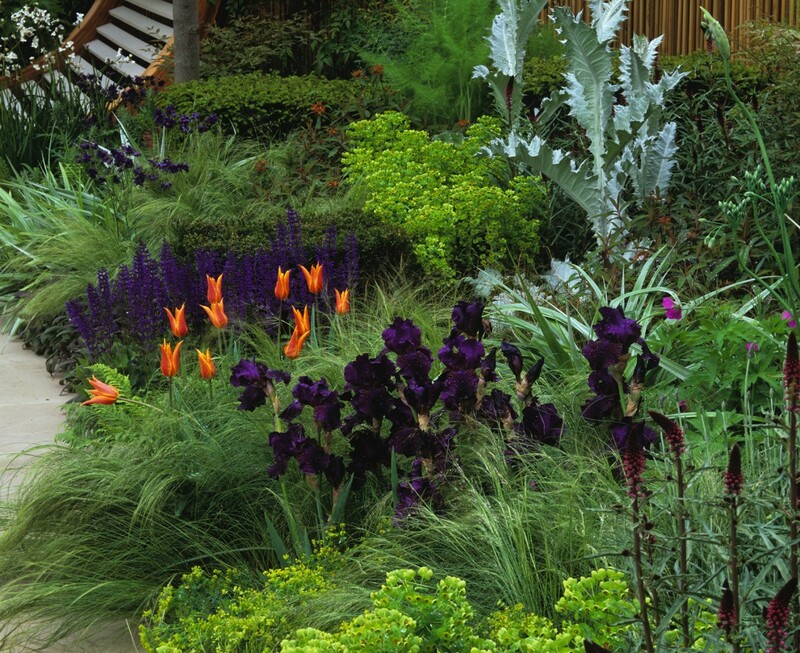 I used the garden to highlight three habits which have been shown to combat cancer. 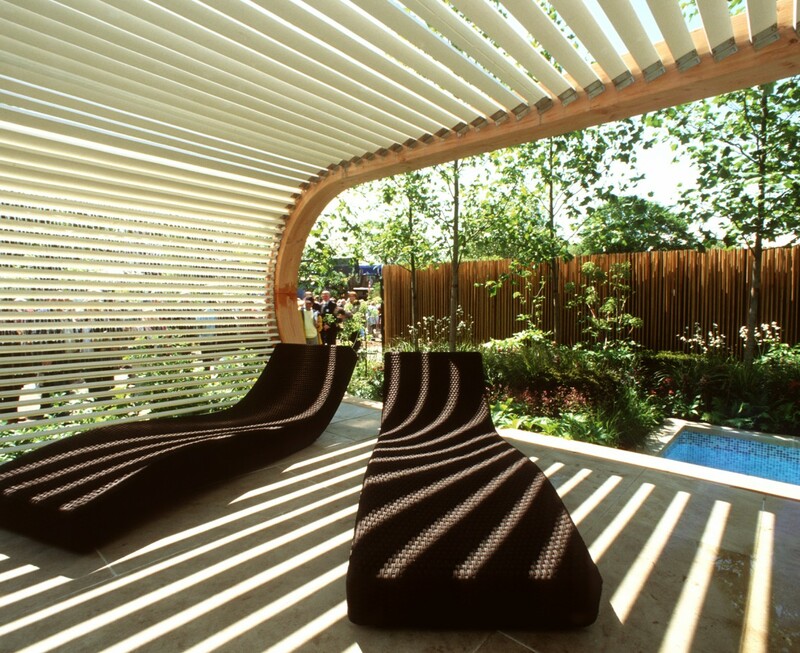 Firstly being ‘sunsmart’ was demonstrated by placing sunloungers within a shade pavilion and a bench beneath a tree. 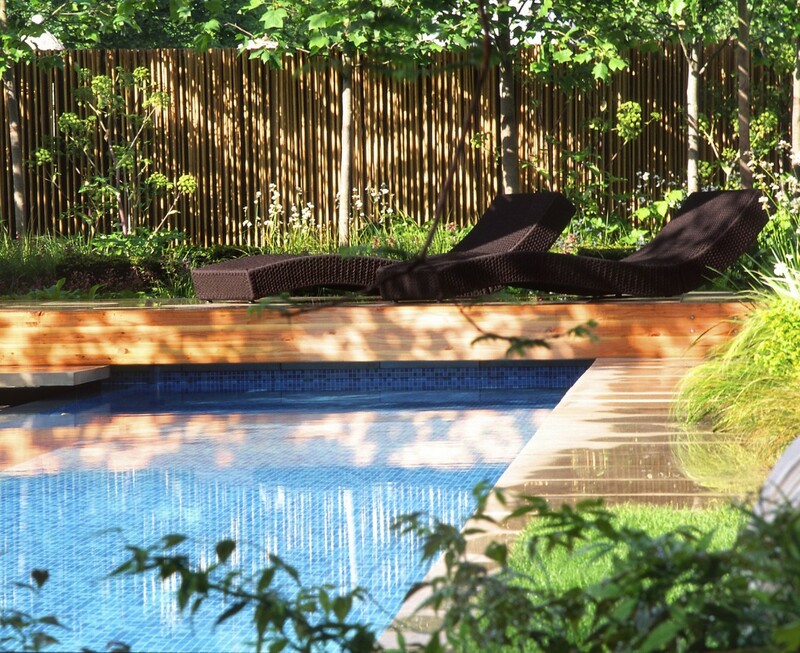 There were blueberry super fruits and many herbs and edibles integrated into the planting to show the need to eat and drink healthily, and finally the swimming pool and significant amount of gardening needed promoted regular exercise. 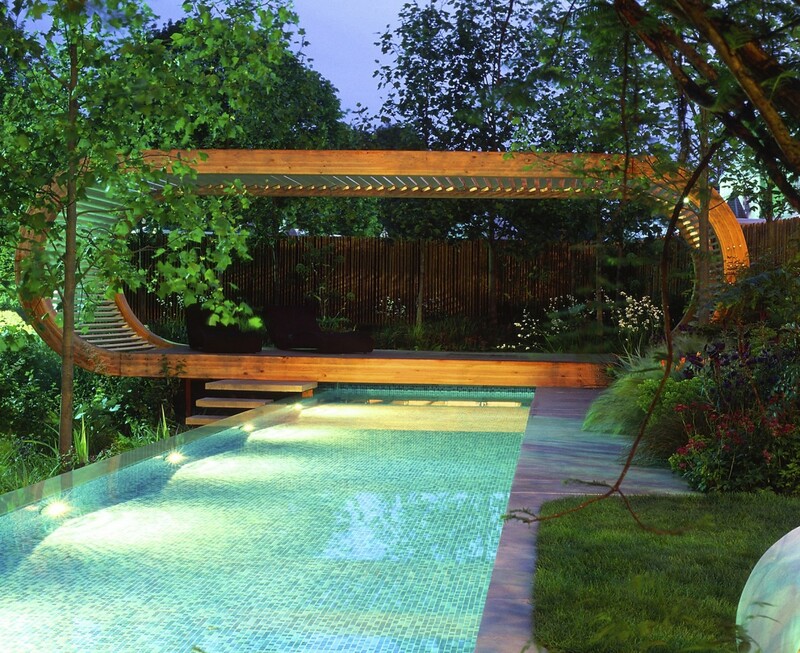 The pavilion was entirely inspired by the bench and was made to exactly the same proportions so there was a strong element of repetition within the design which creates a sense of unity and harmony. 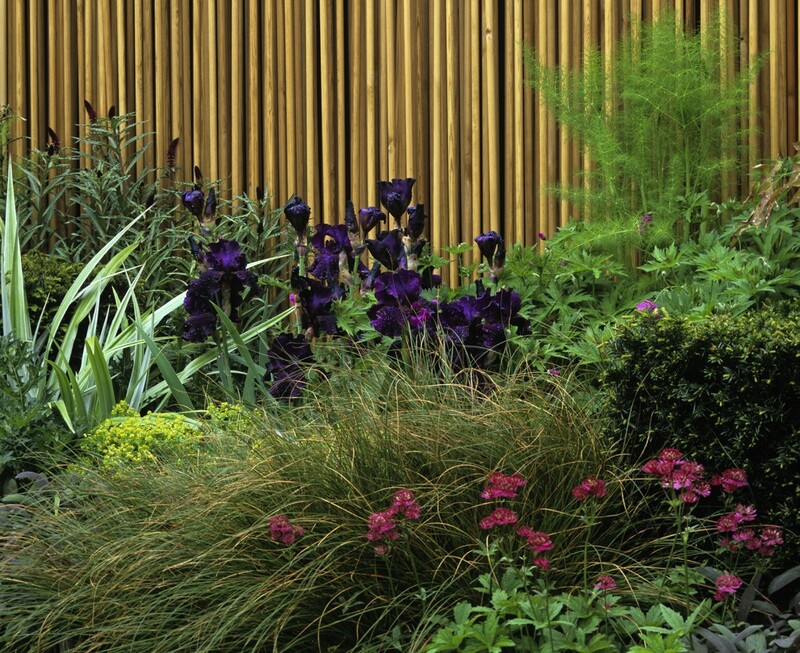 The planting relies on a colourful but fairly restricted colour palette, the boundary is made from 3 kilometres of timber dowel to give a sense of depth.